The citizens of Emmett, Idaho disagree. On Tuesday, the Emmett City Council approved the Restoring Constitutional Governance Resolution, thus banning the detention provisions of the 2012 NDAA, and the application of the laws of war, which originally made Emmett a “battlefield” in the war on terror. The resolution also encourages the state legislature to interpose against these detention provisions, and Idaho’s Congressional delegation to take steps to repeal them. 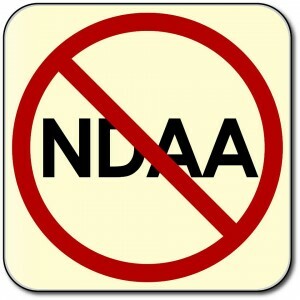 The 2012 National Defense Authorization Act was overwhelmingly passed by Congress and signed into law by President Barack Obama on December 31, 2011. This law declared the United States a battlefield in the war on terror and two provisions, Sections 1021 & 1022, authorized the indefinite detention, without charge or trial, of any person, including American citizens, accused by the President of undefined "support" of terrorist activity or commission of a ‘belligerent act" and the application of the laws of war to U.S. soil. Emmett joins a growing tidal wave of cities banning the provisions, and the laws of war, as unConstitutional. 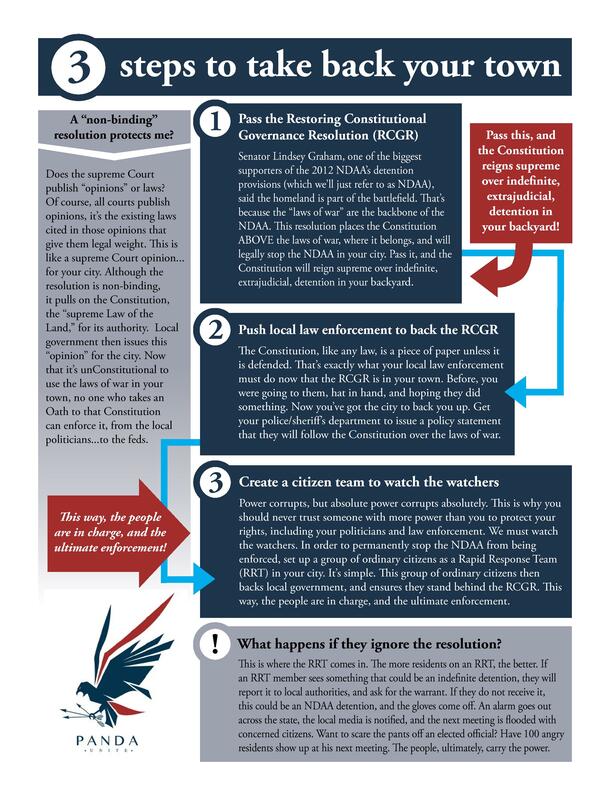 Albany, New York, Oxford, Massachusetts, and Webster, MA have previously passed the Restoring Constitutional Governance Resolution to do so, as part of the nationwide “Take Back” Campaign. City by city, county by county, and state by state, we can take back this country. It is wonderful to see pockets of saneness and sensibility still in existence. The madness must stop! These Globalists must be stuffed back in the bottle sealed and buried forever. I see how they did this incrementally and I also see it does not have to be. NWO is INSANITY. It is imperative that it be turned upside down and monied influence in the peoples ability to Govern themselves is restored or established whether or not it ever was or not. IMO Bravo Citizens. Keep it real! The sane are still out there and watching closely! Survival of humanity is at stake for cryin’ out loud, and that is not a far fetched idea at all. Globalism is not the problem. Having it built around us, while attempts are made to disguise the truth, so as to give a small minority the power to dictate everything. That is the problem. Keep your eye on the Traitor that voted NAY. I hope the people hound that person and get them out of politics FAST! His name is councilman Frye. I suggest you guys fry him.